Doctors are Getting Used to Killing. They’re Getting Good at It. We've already crossed the line from voluntary to involuntary euthanasia. What's next for the medical cult of death? 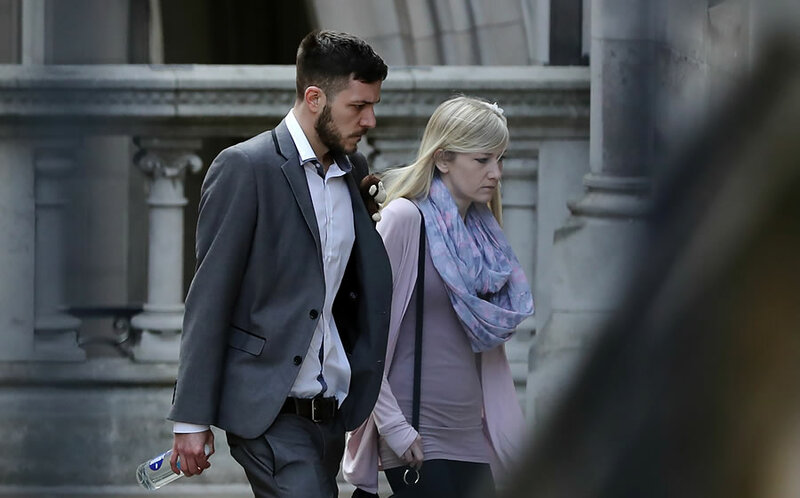 In this April 7, 2017, file photo, the parents of Charlie Gard, Chris Gard and Connie Yates, walk through the grounds of the Royal Courts of Justice in London, United Kingdom. Charlie suffers from a form of mitochondrial disease and is the subject of a dispute over life-support between the Great Ormond Street specialists who are treating him and his parents. The parents' crowdfunding campaign, raising money for treatment in the U.S., has passed its target of $1.6 million. The new killing fields are hospitals and health clinics. It is government that gives them this power. Government, it turns out, gets used to having this power over your life or even worse, that of your beloved baby boy. 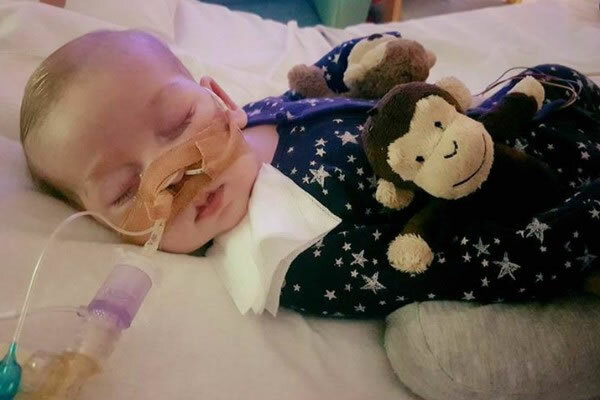 Instead last week Judge Nicholas Francis ruled: “It is in Charlie’s best interests” that “Great Ormond Street may lawfully withdraw all treatment save for palliative care to permit Charlie to die with dignity.” Charlie’s parents are appealing the ruling. Charlie’s death sentence is stayed for a few weeks. Parents Connie and Chris hold baby Charlie in this undated photo. When I first tweeted this story (@MaggieGallaghe) most of my American followers assumed it was the story of national health insurance and death panels. No, it’s worse than that. Charlie’s parents had started a GoFundMe campaign. They raised more than $1.5 million from 80,000 donors for an experimental treatment in the United States. But instead the doctors intervened and requested the power to pull the plug on Charlie. Loving parents asked for their natural right to try everything to save their son’s life. Instead the judge ruled they had no say in their own baby’s medical care. Government gets used to taking away our natural rights. Sometimes the slope is slow and gradual and sometimes it’s a rapid slip and slide. In the Netherlands for example, doctors have gotten used to killing. At first doctors only helped kill the dying in great physical pain. But in short order, doctors made “unbearable suffering” of any kind a good reason to kill. And the government let them. In 2012 an End of Life clinic opened up to “help” patients whose own physicians refuse to kill them. In the first year alone clinic doctors helped kill 11 people whose only recorded complaint was they were “tired of living.” Half of Dutch patients who were killed at this clinic said in part they suffered from “loneliness.” Sure, a dose of cyanide seems a reasonable cure. In just ten years, the number of cases of death-by-doctor tripled. One out of 30 deaths in the Netherlands is now doctor-assisted, claiming close to 5,000 people. America’s abortion rate alone means doctors killed more than one out of 3 people who died in 2014. Of course the real number of deaths by doctors is much higher, for that ignores the almost 31,000 aborted babies in the latest Dutch data. Doctors are responsible for almost 1 in 4 deaths in the Netherlands. From that perspective, the situation is even worse here in the United States. Doctor-assisted suicide is now legal in 5 states, including the heavily populated California. Good statistics are not yet available. But our abortion rate alone means doctors killed more than one out of 3 people who died in 2014. We may not yet have gotten used to the idea a judge can tell fit and loving parents they may not spend their own money to save their child. But we’ve grown used to being part of the vast killing fields of the West that makes health clinics the most dangerous place to be. When the govt pays the govt says. They’re doing a lot of saying even when they don’t pay. And their paying is with our money! This case goes beyond that though, the parents fundraised the money themselves! The can pay for it! The judge basically said they aren’t allowed to pay for a lifesaving treatment with their own money!!! Insane. The judge said that the treatment is experimental and it’s not in the child’s best interest to have it no matter who pays. I’m not saying I agree w with the judge, but that’s different from what you just said. I feel so bad for the Gards, this is wrong, they are Charlie’s parents they should have the only say. People in the U.S. better pay attention, so are calling for single payer, this kind of thing will come with it. I don’t want this to sound insensitive but why should the parents have the only say when they aren’t the ones paying the medical bills? This is what money and wealth are for! To save life! The gears of morality are too finely set to allow a utilitarian calculus to succeed. Either we love life and will have it, or we love death and will have it. There is no middle ground in the end, just two roads. Either we treat “the least of these” like Jesus, or we treat everyone the opposite way, and pretend that “the least of these” don’t exist at all. Guess which road the West has chosen. Whose money and whose life? Because that is their child, not the State’s. Is the State now a Co-parent? This is the equivalent of death panels. Did you miss the part about them raising over a million dollars for medical care? It sounds to me like they are not asking the state to pay for it. The state is telling them they cannot keep their child alive long enough to try the treatment. How much has the govt paid out thus far? And if the experimental treatment doesn’t work who keeps on paying? Are the parents offering to reimburse all expenses incurred thus far?There’s no denying there’s a financial component to the govts control. Neither of us know all the details. I certainly don’t ascribe to the idea that we should do everything possible, no matter the cost, and expect others to pay for it, but if the parents are actually footing the bills and not expecting others to cover it, then I don’t think it would be a valid position to say they shouldn’t be able to seek life saving treatment. Obviously many people are willing to help if they have raised 1.5 million dollars, and I would be shocked if expenses topped that. The real question in the end is who has the final say in the medical treatment of a person, that person/their parents or the government? If a person can afford a treatment and wants it, they should get it, if there is valid medical need, but I don’t think that just wanting that treatment is enough, they are going to need to be able to pay for it as well. Apparently, in Great Britain, a judge has the final say. If I were British I would change that law ASAP. But I’m not. This is all the result of the secular gutting of the culture in the West really. Once a culture jettisons a theistic worldview, they cannot continue to hold onto objective morality or truth for long. When God is rejected in a culture, something else must always fill the vacuum. This is why so many secularists are totalitarian in nature. If God is not on his throne the state must take his place in their world. If you’re trying to make an argument against “single payer” or government controlled health care, I would agree. But please just come out and say it. This little boy and his parents are not pawns. I’m pointing out the natural consequences of govt being in control of the medical system. As for this family, they are indeed pawns, but it isn’t my game. Politicians and bureaucrats are in control, not me. This family is an example, and those in charge are also thinking of the precedent they set with all the other people they decide to live or die. Wow, you are completely devoted to murder, aren’t you? Not to be dissuaded by logic or decency, you persist in defending the indefensible. LOL, don’t make the mistake of pretending to know me from a few posts. In the political spectrum I’m devoted to liberty, the complete opposite of all this big govt choke hold. When govt has this much control over peoples lives why is anyone surprised by this result? Your pretense of libertarianism is duly noted. Like EVERY “libertarian” I’ve ever known, you are actually totalitarian, hence you oppose the right of parents to protect and provide for their own child with their own money. Sorry, Sport, you are as depraved as you can be. LOL, I would be thrilled if all parents provide for their own children and govt was out of the healthcare business. How that is totalitarianism is for you to explain. Also it’s incomplete to say this story is about parents being able to pay for their own child. I suspect they wouldn’t be arguing in court to pay for their childs medical bills if the govt healthcare had been successful. Allow me to enlighten you about how YOU ARE a totalitarian. You believe that the state has the right to prevent these parents, by force, from intervening to save their OWN CHILD’S life. LOL. It doesn’t get any more real in support of unchallenged authority for govt. LOL. And what you “suspect” is not germane to this issue. LOL. No, I don’t think the govt has the right to do it, the govt has the power to do it because the people have surrendered their liberty in exchange for the lie of something for free. Because I point out the reality of the system doesn’t mean I agree with it. They have almost 2 million dollars…let them try..
Totalitarianism chooses whom it will save and whom it will cast away. 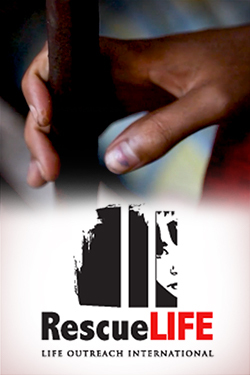 Democracy values all life, regardless of political affiliation or age or any other factors. So…does that help? If u have a government financed healthcare system it will inevitably become totalitarian in nature because the government is a poor administrator of the public welfare and it cannot pay for all equally. Federal level government should only concern itself with national issues, such as redress against laws that are in conflict with its constitution and national defense. I agree with your view for a limited fed govt, but democracy itself leads to tyranny of the majority, that’s why the US founders pursued a republic. There’s your barbaric tyranny, right there. When this mentality has metastasized among a people, there’s only one “euthanasia” required; that of the bloodthirsty, leviathan government. You must have a reading comprehension problem. The parents ARE paying the bills. You aren’t just a heartless ghoul, you are a STUPID, heartless ghoul. So you’re saying the parents have been paying all their medical bills to this point? No. He is saying that the parents would like to remove the child from the hospital and bring him to the US for experimental therapy. The parents have raised their own money and therefore the state or insurance company does not have to pay. The state was paying the bills up to now and has determined they don’t want to pay anymore. Okay. But to BLOCK an individual from any other action is just evil. The judge should release the child to the custody and care of the parents. I’m not sure how it exactly works there where that case is, but here the govt powers have taken away many rights and responsibilities from parents under the banner of the best interests of the child. We’ve become accustomed to it such that it is almost taken for granted. Being a foster ‘parent’ is a cottage industry around here as the govt takes kids away from parents for a multitude of causes real and imagined. What some may not fathom is that there is a segment of the population that thinks the best interest for this child is to be put out of his misery. Not much different than the reasoning behind aborting babies with genetic problems. We may not like it, it may disgust us but that’s something we are dealing with. Not everyone values human life the same, and bean counting bureaucrats in charge of a healthcare system make a career out of it. Ahhh…the most recent Soviet satellite state!! ‘Wrong’ isn’t the word for this Kevin…….this is EVIL. Pure and simple. Set up a petition with your names and the name of the judge whom you want to address regarding the life of your child demanding that He be spared and forward it to me as soon as possible to this email portadosol14@gmail.com we can stop it. The situation with the Gards, while unfortunate and perhaps illustrative of governmental usurpation of parental rights, is certainly not an example of doctors becoming proficient killers. It is simply not a good parallel to the euthanasia culture of the Netherlands. To discontinue treatment on someone the doctor judges to be beyond reasonable expectation of healing is not murder. There are other problems in this situation, but not one that offers an easy analogy with euthanasia. This is the first I have heard of this family. I will be praying that the judge will back off and let the family pursue medical treatment. The judge is not God, and he needs to help, not hinder, the parents as they seek to fulfill their God-given obligation to take care of their son. Actually the judge needs to judge according to the laws that govern that jurisdiction. The judge needs to let the doctors and family make their own decisions. This is what socialized medicine does… gives power to the government instead of the family and physicians. This enters the realm of judicial activism…what you are seeking is the job of the elected lawmakers such that judges have clear laws to guide their decisions. Judges that legislate is part of the problem, not a solution. Yep.. very much like some of the ‘decisions’ by our SCOTUS. Not being British, i don’t understand the laws that allow a judge to determine that the best interest of the child is to die when his parents have an experimental treatment lined up and the money to transport him to it and pay for it. Looking at comments on the British press, I am astonished at how many people seem to think that 1) A court knows better than the child’s parents, who may just be “indulging in wishful thinking,” and 2) that even if they have money to pay for this treatment they shouldn’t be able to have it, because that would mean people with money would have an advantage over people who have no choice but to use the NHS and that wouldn’t be fair. Judicial Jokers need to be JUDGED! This isn’t “doctor’s getting used to killing, they’re getting good at it”. This is the govt. is getting used to killing and leaving the doctors and parents out of it”. Blame the right folks, please. The govt. is making them take the child off of the vent. The doctors aren’t really even mentioned, except that the family wants to bring the child to the US for treatment. That surely sounds like the govt. doing the killing to me and not the doctors. The doctors will have no choice. If you want to get technical, it’s probably some Respiratory Therapist who actually takes the patient off of the vent, not the doctor or nurses, at least in countries where they have RT’s. Are you calling me a killer? Is what I do like what happened at Nuremberg? (because I’ve been an RT for over 40 years). (I’d really like an answer to that). Yes, or be killed themselves. And then there’s the brainwashing that teaches that YOUR perspective is wrong, but theirs is right. It isn’t as cut and dry as YOUR perspective is right and everyone else’s is wrong. You still didn’t answer my question about my profession. I really would like to know what you think. So, you’d rather that if someone is on a vent that we just leave them there indefinitely? Just let them rot away until their heart just stops? Because I’ve seen that and I don’t think that’s what you’d really want. Or do we not use vents at all and just let people die who can be saved with only a day or two’s help? What’s the right call? It’s very clear that you’re bitter. I don’t want to counter that too much because it’s providing you with something that you need… I get it. But before you disparage everyone who works with death, and fail to realize that in doing so, how much they give to life, I suggest that you educate yourself about this a bit more. There’s a lot of compassion in the medical field. A lot of knowledge. A lot of very hard decisions that have to be made with the information that we have, given an education about it all that is very complicated. Not everyone is a killer. There are a lot of things…..a LOT of things….that are worse than death. I might suggest that you get some help with your anger. I understand it. I lost my mom and dad within about 3 weeks of each other and I don’t believe that either of them had to die the way that they did. My mom was on dialysis and every day I had to fight with her doctor to keep her on it. He wanted to stop it and let her go into a renal coma and die. After all of that happened, I had to get some serious help. So I know, personally and professionally, that there are doctors out there who are horrible at what they do. That doesn’t mean that we are all that way. It doesn’t mean that what we do is evil or barbaric or sinful. It means that for most of us, we do the best that we can to get people well, and when we’ve exhausted that, we turn to compassion to make their death as easy and comfortable as possible. Again, if that wasn’t your situation, then I’m sorry. I asked you to clarify what you thought of my profession. I can only assume that it has to do with that. If not, then please say something other than what you said. I have no opinions on a profession…we all are responsible for decisions we make regardless of profession or orders given to us. We are not to comply with orders that are diametrically opposed to God’s law. Lorna, is the implication being that GeneP is violating Gods Law? Have you considered that keeping a soul a God has called home away by use of a breathing machine is the real violation? GeneP, I hope you read my other comment above this one. You don’t need other people to validate your profession. When it gets right down to it, every time you pull someone off a ventilator you are enforcing Gods Law, not complying with an order that “diametrically” opposes it. Instead of seeking peoples opinion, do what you know to be the right thing and tell them to F-off. Thanks, and yes, I read your other comment. I don’t have a problem with anything that she’s said, except when she compared what I do to those who were on trial at Nuremberg. I have a REAL problem with that, and simply would like an answer from her, yes or no, is that what she’s saying. It doesn’t bear on who I am or what I do or why I do it. And, you’re right, I don’t need her validation, nor am I looking for it. I just want to see if she, in all of her ‘Christian’ wisdom, has the guts to say outright that my profession is like that of war criminals. So far, she won’t verify it again (of course). But she’s already said that’s how she feels. Thank you for your comments. I came to grips a long time ago with what I do. I’m not God and have seen many times when he ‘over-rode’ our human efforts and people got well in spite of us. I’ve also seen the opposite. He’s in control. I’m just down here doing what I can to make the journey better. That’s all any of us can do. What I think of a profession? Nothing either good or bad…there are only people performing jobs…some of those jobs are evil, some are good, but the individual doing the evil cannot hide behind the excuse of “the state made me do it”. I asked about my profession where I have to take people off of vents. Correct! The state doesn’t own the people. I beg to differ, but I can’t make you see it. I haven’t asked for excuses, nor have I given any. I’ve asked for an explanation of what you meant by your comments. I’ve asked for your perspective and thoughts on how these situations should be handled. I’d appreciate an answer instead of just a flippant remark. I am responding to the situation in the article. The parents have an opportunity to save their baby. The “state” wants to deny them that opportunity…why? Their reasons are evil cloaked in mercy. Each individual who “complies” with evil policies is guilty of those policies…we all make choices. You can’t blame “government”. If you comply with an evil law, then you and you alone are guilty. You are talking to people who are not near death and they can’t understand the choices those who are in severe, constant pain with no end in sight might make. And they can’t appreciate the work that people like you may have to do. In their minds, hospice is killing healthy people for the joy of it. You can’t change what they think. That doesn’t mean they are right about what you do. They are selfish for wanting their loved ones to suffer so they can spend an extra day or two by their bedside trying to make up for the good years they did not fully appreciate. They would rather soothe their own guilt than ease the pain of their “loved” one. One day, maybe they will experience a disease and know they will die in a short while. Maybe one day they will feel so much pain for so long that they can understand why it is better to help someone pass from the world painlessly than it is to give them two extra weeks of bed ridden torment. Me, as a healthy 54 year old, can understand why those who can see their death is just days or weeks away may want to sacrifice a little time as an invalid to avoid a lot of pain from which no recovery is possible. Your job is hard. It is essentially watching people die everyday, when the only thing you can do is try to make it as peaceful for the patient as possible. Don’t make it harder on yourself by paying any attention to the morons who say you are killing the people. When someone is finally forced to go to end of life care, there is no quality of life left anyway. I would want to get through the checkout process painlessly and as soon as possible. None of that has anything to do with the article. Government exist for one reason. To force the people into doing what is against their will. The best response the family can make is a wrongful death suit against the judge on a personal level if the child dies because of the ruling. At the same time, they should do a private prosecution for attempted murder. Those actions, not merely the threat of them, will make the inhuman judge reconsider his decisions. If the paperwork was filed today, the order would be removed tomorrow. It is a hard job, but it’s also greatly rewarding when things go right that could have gone so wrong! I know that people don’t understand and in a way, I’m glad. It means that they’ve never been in that situation. It also means that, like the other poster, one day she or a family member may need that kind of care and her anger and bitterness may prevent that from happening, or they would be resistant to it. I think that it’s sad because they will only be hurting themselves and making it harder on everyone involved. Bitterness is horrible to live with. I hate to see it in anyone, esp. over healthcare. The problem with this case is that it’s in England where they have national healthcare, so they have no other legal recourse. I know it’s a long shot for this baby, but sometimes that’s all that’s needed. This is a lesson that we should learn about the govt. and our healthcare! Not flippant…just true. If an individual who pulls the plug on a baby whose parents have a plan that may save their baby, if that individual can’t see that that is wrong and say “no, not me! I won’t do it!” , then that person has made a moral choice that they will have to account for. But you gave up the conversation about this particular case a long time ago, so, yea.. flippant. There are times when it’s better to let the person go. It’s also true that sometimes if we say ‘no’, then that means that someone else will do it… and they will. So you want to be the one because you know that you can do it with a compassionate attitude, a prayer, in a moment of respect when the other person would not have that attitude and would just do it as part of their job. If it were my child, I’d want the person to have a heart about it. It’s going to happen. Let the person who has compassion handle it. It isn’t as cut and dry as you’d like to make it. There’s more to morality than mortality. BTW there is only one right perspective and that is God’s. And there is only one true God and he is the God of the Bible. Jesus Christ. Not in their eyes. You and I may believe that, but they don’t. They don’t know anything about Christ. “The doctors have no choice”? Sounds like “I was only following orders” to me. Yes, they do have a choice – to comply or not comply. They could always tell the family that the govt was going to force him to kill the patient, and they could move the patient out of there, so they can’t be forced to kill them. Yep. If they want to lose their license. If they want to have the medical facility shut down. I guess you could call that a ‘choice’, technically. But how many others can they help by keeping their license and the facility? Sacrifice all for the sake of one who is most probably terminal anyway (at least with the options available to them in that country)? No doctor who cares about what he does would even consider that. They see the bigger picture. That’s not really a choice. Be realistic. It’s still a choice. They could quit that job and do something else. If everyone refused, they would probably give up trying to force them. But at any rate, they do have a choice. lol When I said that govt’s kill people you said, “doctors are the implementors…government doesn’t do the killing….people do.” Now you say that ‘gvt’s have always been good at killing…..’. Which is it? And that was the point of my original post that YOU denounce me for. You are such a hypocrit. And you still won’t answer the question of whether or not you stand by your comment about what I do and Nuremberg. You’re a coward. You say something that is damning and then run. Scared that one day you’ll look up and see a Respiratory Therapist looking down at you? You’d better hope that they are as good at what they do as I am, that they have a conscience like I do, and that they have the experience to treat you. I’ll tell you like I told the other. Get the training and do what I do for 3 years and then come back and judge me. See what I see, do what I have to do…then come back and talk to me. In the mean time, please answer my question. You put it out there, you own it, so you answer it. You talk about ‘God this’ and ‘God that’, but you say horrible things like that to me and then won’t take responsibility for it. People like you are why I gave up on organized religion. The hypocracy is disgusting. I have my relationship with God, but I refuse to be associated with cowards and hypocrits like you. lol Still won’t answer. What a coward. No. I just don’t take too kindly to someone saying that I’m like a war criminal when I’ve spent my entire adult life working to help people. Would you? Deflection won’t work with me. I’m not angry at all. Just disgusted. You seem to be pretty heartless. When I post a specific comment to back up what I say, or tell you a situation to explain my stance, you ignore it and attack harder (I guess in your eyes). You seem to have a problem with addressing things that may create emotions in most normal people, or dealing with a perspective that differs from yours. That’s pretty sad. Just answer the question…yes, or no. How hard is that?? Here is my opinion…are you a medical professional who is willing to pull the plug on this child given the circumstances as they exist in this article? If so, I hope and pray you will never have power over my life or the life of anyone I care about. No where did I say that. As a matter of fact, I said that the family should be able to get their child to the states if that’s what they want to do, if they can afford it, if it’s in their power. So I have no idea where you came up with that! I have had to take children off of vents many times in my career. It’s a horrible thing to have to do. It is with an adult, as well. But I would rather do it with compassion than have someone do it who doesn’t care. And you still haven’t answered my question about saying that I’m the same as the people who were tried at Nuremberg. I’m waiting. life or the life of anyone I care about. Where did I suggest that I would pull the plug on this patient? I don’t have enough information. I don’t know the laws. I know nothing about this case except what we’ve read in a website article. How insane to think that I can answer that question! I have reepeatedly said that I think that the parents should be able to get the care for their child that they want. I tell you what…. go get the training and do what I do for 3 years….not 40, like I have, but just 3 years, and then come back and judge me. Fair? See the things that I see and do the things that I have to do and then tell me what I ‘should and shouldn’t’ do in any given circumstance. Work in ER and ICU and see babies mangled in car wrecks and beaten and bloodied from the hands of their parents, see knivings and shooting and chokings and every other imaginable (and some that you can’t fathom) things that people do to other people, and then come back and tell me about the decisions that I and other medical personel make. I have refused to take patients off of vents before, yes. I’ve also taken people off of vents that have rotted from the inside out, have been ‘dead’ for days and days, and many who we worked with and are now leading healthy, happy lives, and lived to be with their families again. There is nothing in this profession that is cut and dry. Nothing can be noted by a checklist, because there is always the possibility that a particular patient will be a bit different and you have to adjust everything for that. There is SO much involved in patient care. Until you have a clue about that, you have no right to judge me or any medical person for their actions that are common to their particular specialtiy. Do YOU think that what I do is the same as what those tried at Nuremberg did? You do need to just get over yourself…stop making this about “you”. You aren’t important or even germaine to this argument. Go deal with your own conscience in private…what you do is your business…it doesnt change the obvious direction that medical care in general is going…stop elevating your importance in the topic! Maybe do something new, like an honest assessment of the direction your profession is being willingly led…maybe you can be an agent for positive change instead of a puffed up blow hard. lol I’ve never said this was about me. I HAVE tried to explain why I won’t say whether or not I would or wouldn’t take this child off of a vent…..because I was asked and I don’t run from questions addressed to me like that. This IS about you making a comment about Nuremberg…that you’re too cowardly to address now that it’s out there. I tried to be supportive and postive with you and look where that got me. If you want positive change, start with yourself and quit equating medical personel with war criminals. You don’t want to understand or admit that you are wrong. Your ego won’t let you. That’s the thing about people who are pious. They can’t face their own shortcomings but they surely can tell everyone else about theirs. They try to deflect and turn it around on the other person, like you have. But it still won’t work with me. So…..please, answer my question. I’ve asked nicely over and over and over and you still won’t answer me. Are you saying that what I do is the same as those who were tried at Nuremberg? I’ll make it easy… just type ‘Y’ or ‘N’. I can’t make it simpler. I’ve been thinking about this and I’d like to explain to you why I won’t answer that question…and why it’s horribly unfair for you to judge based on this case…..me OR the medical professionals there. Many years ago I was called to the NICU for a complicated birth. When I got there, I saw a newborn with multiple defomities (the medical term for that is ‘monster’). The baby didn’t have a nose and a mouth, it had one completely round orafice, it had one formed ear, etc. The x-rays showed that the baby was an anacephalic, it had no brain. It did have part of a brain stem, so it’s heart was still beating, but there is no way that this baby was going to live. It was far too deformed and you just can’t live without a brain. The parents were upset because they didn’t think that we were doing all that we could for the baby, even though we were, and even had put the baby on a vent. We knew that this was enduring discomfort for the baby, so we wanted to take it off of the ventilator. The family refused. They threatened to call their lawyer (or they did, I don’t remember) and the hospital sent administration down to see what was going on. It was a mess. Before it could go much further, the baby died. People will go to great lengths and financial efforts to try to get the outcome that they want, even if it is unrealistic. They are in denial and they want to hang onto their loved one. I get that. I really, really do. Now, some ‘reporter’ could have gotten this story and said that we wanted to take the baby off of the vent even though the parents were willing to fight legally to keep the baby on it. They could have reported about how unfeeling and cruel that we were, and how the baby had ‘a few deformities’. They could have reported that the ‘chanced were slim’ that this baby would live and that the parents were given no say in it, etc….much like this story reads. And someone in England could have printed it and all of England would point to our medical system and made judgements…like you all are doing…and say that if I…me, personally…was the kind of person who would take this baby off a vent, then you wouldn’t want me to take care of you. They wouldn’t have all of the details….and neither do you folks. Neither do I. So I can’t answer your question. I will say that to this day I think about that baby and it was over 30 years ago. I cried for a long time over that baby. Sometimes I still do. I tried to be as compassionate as I could be, as respectful as I could be, and I sent that baby on to God with a prayer. It could as easily been someone who saw it as a ‘thing’ and just took it off of the vent as part of their job, had no emotion about it at all, just didn’t care. If this were your baby, who would you rather take YOUR baby off a the vent? My point is, you don’t know this case, the parents, the laws, the doctors…. neither do I. I know nothing about this case, so I can’t make a judgement about it…….neither can you and to do so and disparage ME becauser you think that you can because it’s on some non-medical website is unfair and ludicrous. Think before you comment, please. Words have power and so does fairness. Hurting me won’t change the outcome for this baby. Get it? You made the association that what I do is the same as what the war criminals that were tried at Nuremberg did. Will you please answer my simple question…is that what you’re saying, that what I do is the same as war criminals? A simple yes or no will do. Why won’t you answer me? You’re the one who made the comment. Either stand by it…or apologize for it. Either is fine with me. If you aren’t the same ‘Lorna’ as posted the other comment,(which I’m sure that you are since your comment is almost identical), I’d like to ask you to read what I wrote about the baby born with deformities. Did you not read in the article it was the doctors who went to the courts and ASKED for that judgement to prevent the parents from getting the boy treatment. The parents have the money. It is the doctors using the courts to subvert the parental authority. And this is coming from a person who thinks the gubmt is behind a lot of things. This is all on the “medical care providers”. Doctor assisted suicide is legal everywhere in the United States…its called Hospice…I know! I’m sorry that your perspective of the medical field is so negative. Hospice cannot be ordered unless the patient is terminal within the following 6 months (as the diagnosis/prognosis dictates). It isn’t a killing field. It’s a supportive type of care, usually with the family, for patients to receive end of life support. It should include not only physical, but emotional and often spiritual support, as well, not only for the patient, but also for any caregivers. I’m sorry if this wasn’t your experience. Pallative care is usually given in a healthcare setting and there is no time period associated with it, directly. I wonder if you weren’t expecting pallative care. Doctor assisted suicide is not legal everywhere in the United States and hospice should not be a vehicle for it. There are some extenuating circumstances where more aggressive care is tampered, usually at the request of the family or patient, and it should be for the comfort of the patient. If you’ve had a negative experience, I would suggest that you talk to the medical personnel and to the hospice providers that were involved. Somewhere along the way hospice has become an exterminator of the elderly in particular. For no more reason than their age…they killed my father. They do not offer care until they can hook you up to the morphine apparatus…both my husband and my father who had no pain at all were “helped” out this way. Be wary! I don’t need a group of strangers to pat me on the back and comfort me while they systematically kill my loved one with morphine over a 4 day period. Then you had the wrong doctors and hospice caregivers. I’m sorry for that. I really am. How many times can I have the “wrong” doctors before a pattern becomes apparent? I guess the last poster wanted you to go through all your old relatives to generate a trend. A few articles like this should be enough for anyone with a heart. Utter garbage and eyewash. Hospice care CAN be had without the requisite 6 month death prognosis. I would suggest you rethink your advice. Many have had the experiences of Hospice. As with many things, it started as one thing and when the ‘right people’ took over it became something else. You throw around many medical words, palliative care, hospice providers, prognosis, diagnosis. You are a medical professional in this field. How do I know this? Your spelling is lousy like most of the medical pros. You forgot the i in palliative. And, while your comments may be viewed by some as helpful, I see them as diminishing the poster’s concerns by using psychobabble to confuse her. Sorry my friend, allow me to add, IMHO. You are certainly welcome to your opinion. Yea, my spelling may be off on one word, but I know what I’m doing where it counts. I hope that you never have to find that out. I’m sorry that you see them as diminishing. That wasn’t my intent, but rather to encourage her to see things in a bit of a different light. I understand that there are plenty of instances where care isn’t what it should be….I’ve worked in plenty of those places and situations, and if you read my comments to her about my mom, you’ll see that I’ve experienced it first hand. But to disparage the whole medical profession is irresponsible and only a danger to her and her loved ones when/if they should ever need care. I haven’t used ‘psychobabble’. Again, you are entitled to your opinion. I may be a bit more pragmatic in my thoughts (because I live it), but I don’t see that as using psychology to get my point across. Other than trying to soften her perspective a bit, I simply wanted to know if she thought that what I do is the same as those who were tried at Nuremberg, as she suggested. Since she put it out there, I don’t think that it’s unreasonable to exepct an answer to that question. I think I have shown great compassion and patience given that she somewhat equated me with gassing innocent people, starving children and then leaving them to die alone and naked, lining up men and women beside a ditch that I had them dig and then shooting them so that they will fall back into it as their own graves, and other war crimes. If someone said that about you and your profession, would you be all cuddly about it? Never be sorry for your opinion. But please be aware of both sides. Did you have a friend or relative at a camp? I did. Did you have a friend or relative in Hospice? You say you did, as did I. The mechanics may be different, however, the intent is similar. And, I speak from experience….institutionalized extermination of all those deemed unworthy by the Elites in power. So you’re saying that my job as a Respiratory Therapists is the same as a war criminal? Yes or no, please. That’s all that I’m asking. DNR is another misnomer. I saw it with my parents. I never signed or agreed to a DNR for either parent. It was taken out of my hands by other family members. My father was very sick, so it was more understandable. But my mother was a fighter. Once a family member signed, that was it. They basically withdraw all care, except for pain killers, which eventually kills them as the dosage gets very high. They tell us they will not resuscitate, but it is more than that. They will not even give fluids. One other thing. If you are donating organs, they do not want to wait to see if you will come out of a coma, for example. They wait like vultures for those organs. They will never try to save the person when organs are involved. Sorry, but I would never agree to donate any part of my body or that of my loved ones. It is prescribed and intentional. Death panels? You betcha! Cloaked behind “what’s best for all involved”. I Holland the elderly are scared to go to the hospital! We live in an age where we show more concern for threatened species than for the threat to human life. This threat is widespread in many different forms for no other reason than greed and selfish neglect. We live in a decadent society that does not even acknowledge the existence of the ultimate threat, let alone how to combat him. Beyond even that, we are taught humans are the cancer in mother natures body…not the glory of God’s creation. In the context of the fall of man as perpetuated by mankind today…..I agree. The glory of God’s creation is there for those who look for it. It is the doctor’s, they took this to court not the parents, so these doctors are playing God and clearly believe they are God’s. As this beautiful baby is much loved, much wanted, there is no valid reason on this earth why 1. The doctor’s feel it’s they’re right to supercede the parents right. 2. Yes, the child is ill and needs medical help, they at The Great Ormound Street Hospital cannot provide that but another hospital in another Country may be able too and here in lies the issue, these doctor’s at Grt Ormond Street cannot let other doctor’s do what they cannot and it is about superiority and the dignity of doctor’s not off the child’s well being. The money is there the Government or hospital is not are not being asked to fund it, so why delay them doing what the parents feel is in the best interest of the child, he is their own child. The courts should only step in when there is no other option which is not the case here. I hope the parents get the HRC onto this although these days they seem to do little for anyone. Appeal to the Queen try everything you can, which I am sure they will do the parents seem to be so loving and caring pity the Childrens Hospital and judge feels the sane. People are slowly having their rights eroded by over zealous Liberal know it all’s who clearly know nothing at all about life, love, devotion,spirit and hope. We have lost what so many fought for, lost they’re lives for, sacrificed so much for so that we live in a Democratic Country as the UK for now and in peace, freedom, free to make decides that is best for ourselves and families, these are now being eroded and taken away by self righteous Liberal people who need to back off and allow people to make they’re own decisions like this lovely couple want to for they’re son. That is why when laws are past with good intentions at first and not looked into deeply, carefully, this is what you get a law that was supposed to protect innocent children being hurt by parents is now being used on parents who love theeir child and wants to give him every hope of a chance at living, yet doctors and a judge want to give him no chance and let him die. A dispicable callous treatment of these parents. Shame on them doing this to this couple and there son. 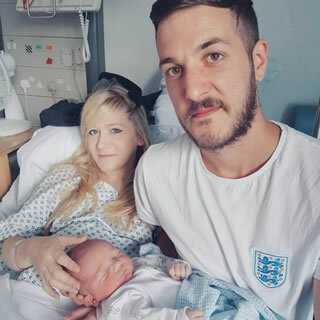 I hope all UK citizens rise up and stage a sit in at the hospital and show this couple people do care and support this couple. Whether you believe in God or Karma all these doctors who are trying to play God and believe they are God’s and Judges who believe the are the upmost Judge and God of all, when you die, God have mercy on your soul as no one else will. The dirty secret about hospices is that they are liquidation centers for inconvenient old people. Once the family agrees that Granny has lived enough (or drained their bank accounts), the nurses will up the morphine for the resident until they die, usually over a period of several days. Dehydration and starvation is also used. Yes, it is that sick. Exactly!!! Even against the will of the medical power of attorney! They pressure you to commit them to hospice without reason and then kill them. 2 times now I have experienced it as medical power of attorney…that’s enough…not on my watch anymore! I called them out and threatened them about upping my dads morphine after a successful and minor pacemaker procedure and they just listened and didn’t respond. He was still living on his own and completely healthy and independent. His ONLY crime was being 87. I went home and he mysteriously “died” overnight…you tell me…I saw the nurses notes that they upped the dose after I told them not to. That’s what prompted my call. Each person who complies must judge whether they want to please men or God.. The parable as ‘explained’ by ministers and pastors is likened to persistence as paying off. However, I read it differently. I read it that the Judge was afraid. Fear was the motivator behind his decision. Persistence was only the tool used to deliver the fear. Funny, how we look at Bible verses through a prism of what so called religious leaders use to control the masses. Anyway, I digress, I was in a position similar to yours. I am sorry for your loss. Thanks for your courage to speak the ugly, uncomfortable truth. We can’t put down a dog, that killed a child, but we can kill our grandparents as soon as they are too much trouble. And call it “dying with dignity. This is a difficult decision. They really don’t tell you what is wrong with the child. But one would suspect a huge financial burden put on YOU and the HEALTH system just to satisfy two people for life? I don’t know which side is being sadistic on you. I want to thank everyone for the great, respectful discussion! Better than most college classrooms, I guarantee! 🙂 I’ve really enjoyed you all! Funny thing…they have money! What they don’t have is freedom! That judge will pay on the other side, he may not be tried on this side. That judge used his free will and he has chosen his everlasting place in HELL. I love that we that believe win in the end. That baby is in HEAVEN and his parents will see him again there. I’d like to simplify this as “Cost Control” in the realm of social medicine. Disguise it as “dying with dignity” or “alleviate suffering.” It is eugenics or cost control.